Nitin Sethi, till recently VP and Group Head Experience and Product Design at Quikr, has joined Indigo Airlines as VP Digital. His appointment drives two significant points home about the airline’s focus. One, it indicates a concerted effort towards digital transformation as this position has been created within the company for the first time. Second, hiring someone like Sethi, who has a strong lineage of user experience and product design especially in the online/eCommerce domain, the airline is clearly aiming to notch up its customer experience play through its digital platforms. 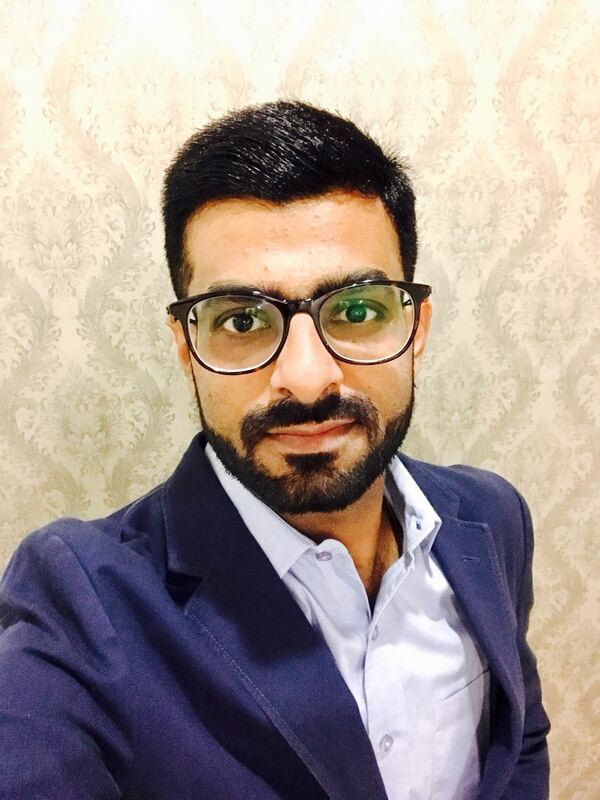 Sethi’s areas of expertise include design thinking, user experience and design strategy, information architecture and interaction design, online consumer experiences for web and mobile platforms and new media/mobile UX among other. During his career of 18 years, he has worked with some of the marquee companies like Naukri, Yatra, Quikr, Bharti Airtel, Indiatimes, Rediff and 99acres. In a brief chat with Shipra Malhotra of dynamicCIO, Sethi speaks about his new role, the responsibilities that come with it and what’s on his immediate agenda at Indigo airlines. What are your key responsibilities at Indigo and what’s on your immediate agenda? I’m heading the digital platform needs of the airline, which means that all the customer touch points come under my responsibility, whether it is mobile apps, mobile site, website, e-communication, notifications, SMS, social campaigns, content, communications, etc. In short, everything which touch bases with the consumer in a digital way. On my agenda is first understanding where the gaps are and then putting together the blueprint for the next few quarters. Also, since the airline is setting up and scaling up its global operations, so figuring out which are the top three growth areas for us and making action points teams for the same. My immediate target is to make sure that the product experience, product design and core customer experience of our digital platforms is top class and un-comparable to any of the local carriers, and that we can provide the global taste to the Indian consumers and deliver very very customized experiences to them. Therefore, on my priority list is to upscale our core consumer experience and to eliminate all the ambiguity which people face. Its about bridging the gap areas and providing our customers the best in class and seamless experience. So, whether they use a website or an app, they should have the same experience. Now with Indigo going global, our benchmark is not only domestic carriers but also the international carriers. This is what I’m aiming for. Currently, we get approx. 20% of our bookings on our digital platform. It is on my radar to increase loyalty and the consumer experience so that more and more people come and book directly on our platform. Also, in India the next set of growth is coming from tier 2 and tier 3 cities. So, the focus will be to create simple to use and intuitive platforms. It should be as simple as Google and WhatsApp, which is what most of my target audience is using. We are targeting to do close to heart design platforms. Whether its Naukri or 99acres or Yatra or Quikr, I’m going to be using all my learnings around CX, design strategy, interaction design, new media and mobile UX in these organizations, and especially around what not to do, and implement them here. Which digital technologies are on your radar at Indigo? We will try and aim for PWAs (Progressive Web Apps). That’s something which will change the way people are using, just like any other e-Commerce site. And, of course, we are targeting for low-end, low-range and low bandwidth mobile sets, which is where our next set of growth is coming. Artificial Intelligence/Machine Learning are also on our radar as they will be the key to understanding our customer better and helping us personalize the experience we offer to them. We want to provide a one in a million kind of experience for every consumer who comes to us and AI/ML will help enable that. Language is going to play a big role in a multi-lingual country like India. Hence, I see use cases for Natural Language Processing (NLP) as we try to extend the digital user experience into tier 2 and tier 3 cities. We have a mammoth task before us because the consumer is exposed to world class digital experiences by organizations like Flipkart, Naukri, BookMyShow, etc. We are going to try and leverage the patterns. So, you may get boarding passes on WhatsApp or you will get things digitally which will reduce the time at airports and ease the use of airport services. And, we are also going to try to empower the consumers to put them in control.